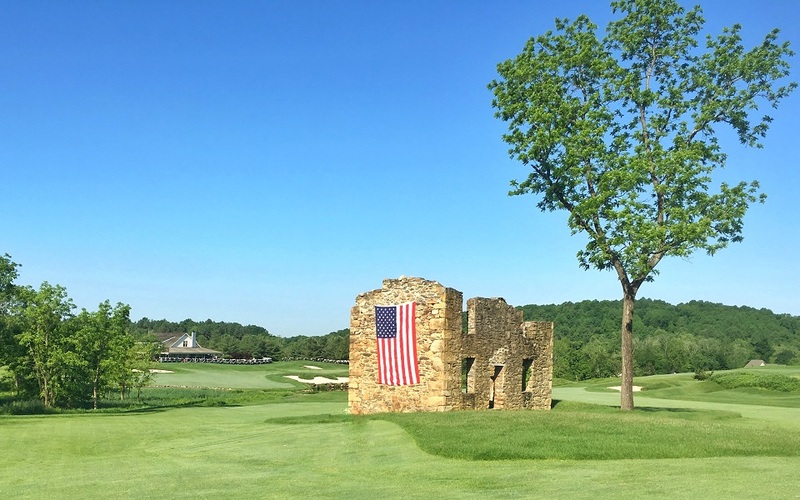 The clubhouse at Whiskey Creek is designed to give visitors the feel of an old, secluded lodge with Shaker shingles framing the sides and the roof. 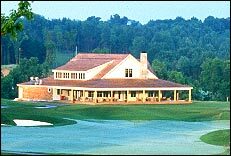 A wooded porch wraps around three sides of the clubhouse and offers players the chance to enjoy the views of the surrounding countryside while watching players finish on both the 9th and 18th holes. Inside, the exposed beams and working stone fireplace immediately invoke feelings of being at a ski lodge. Large inviting leather chairs surrounding the fireplace are one of the many gather places inside the clubhouse for casual conversation or enjoying the fine food prepared by our professional staff. The full service restaurant and bar can seat up to 80 people inside with additional seating for 30 or more outside on the porches. And located on the second floor (offering a spectacular view of hole #9) is a private meeting room that can accommodate 40 people. A full service golf shop is available.